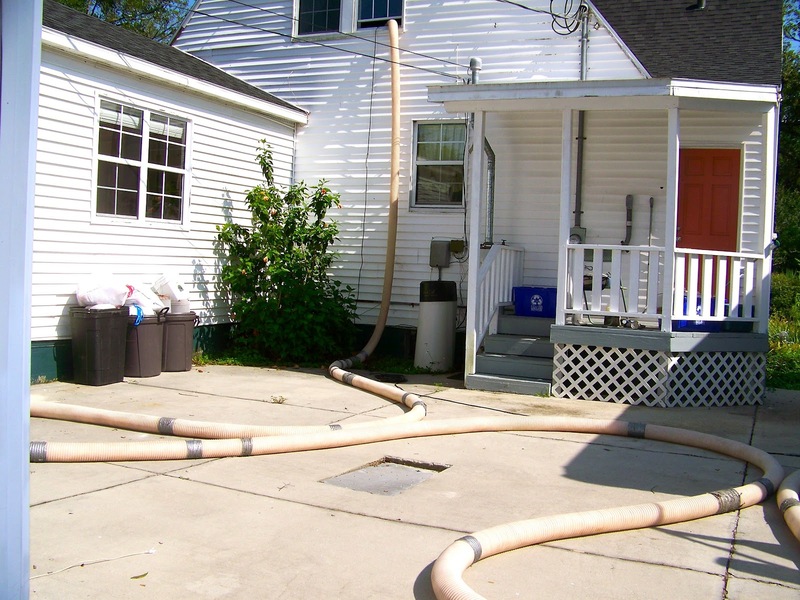 In our last house, we, along with my dad and Nate's friend Adam, insulated our entire house using various methods. Blowing insulation in was definitely the cheapest and easiest of the options we used and that was using the little blower you can rent from Lowe's. 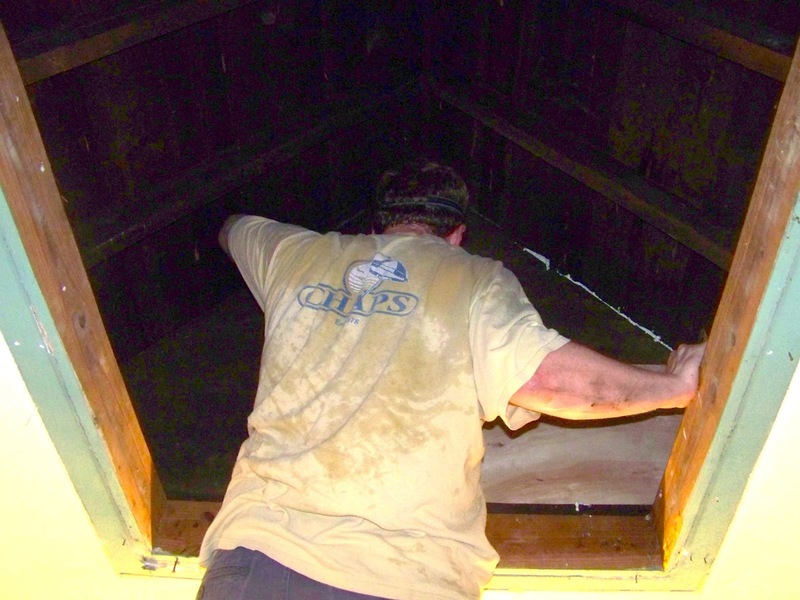 At our current house, as part of the process to get rid of all the bugs and pests when we first moved in, Nate removed the disgustingly gross old insulation from the attic spaces. Gross insulation wouldn't be a huge issue except for the fact that in FL, you can get rats... and rats leave scents that attract more rats... and I'm not living in a house with rats... just saying. So the old stuff went away and to keep our cooling bill low, we wanted to replace it with nice new stuff. 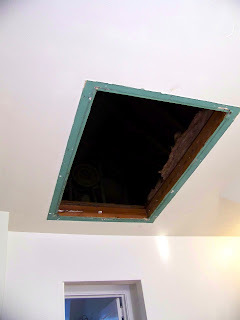 When Nate priced everything out, it turned out for such a big job, it was actually cheaper to hire someone to come blow the insulation in instead of doing it ourselves (imagine me doing a happy dance when I got this information) You can't really beat cheaper for less work. 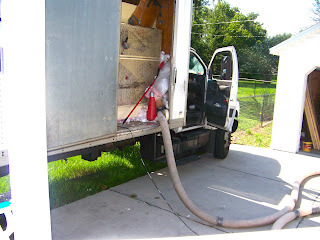 And this time, there was no dinky little machine blowing the insulation... they had an entire truck! It was kinda fun watching the insulation scoot through the hoses and up into the attic. 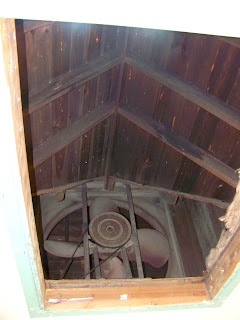 To access all the attic spaces (and to replace some wiring) we took the whole house fan shutters down. If you have one of these, a word of advice, don't help your husband take this monstrosity down in your work clothes minutes before leaving for work. I got covered in debris and ended up washing my hair in the bathroom at work because I just couldn't stand the feeling that things were crawling on me. 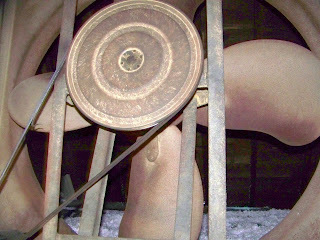 This is the first time I had seen the whole house fan and I was kinda surprised with how huge it is! 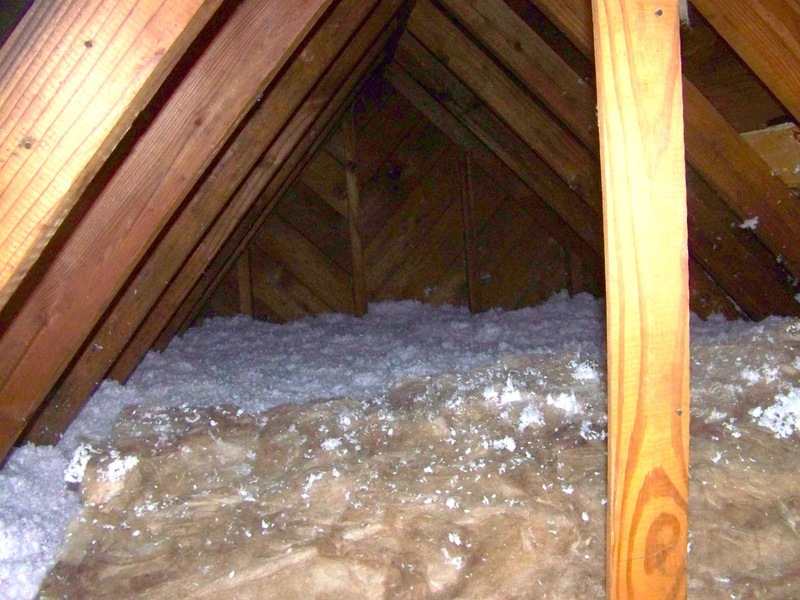 After they were finished blowing insulation, we had a nice fluffy white layer of insulation in the attic space. After they were done, Nate replaced a block that was previously up in the attic that prevents the whole house fan from sucking air/insulation from the wrong space. 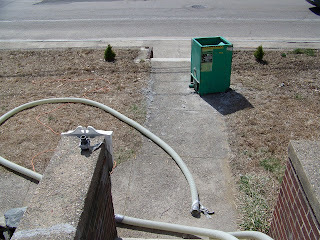 He also spray foamed the edges which will help the whole house fan work better. Overall, it took an afternoon to blow insulation in the upper attics and to lay bats of insulation in the lower attics. We are looking forward to our next electric bill to see if it's lower! Oh wow, that attic fan brings back a lot of memories. We slept with one on at night when I was little. Loved the breeze it pulled through the windows. Miss it. 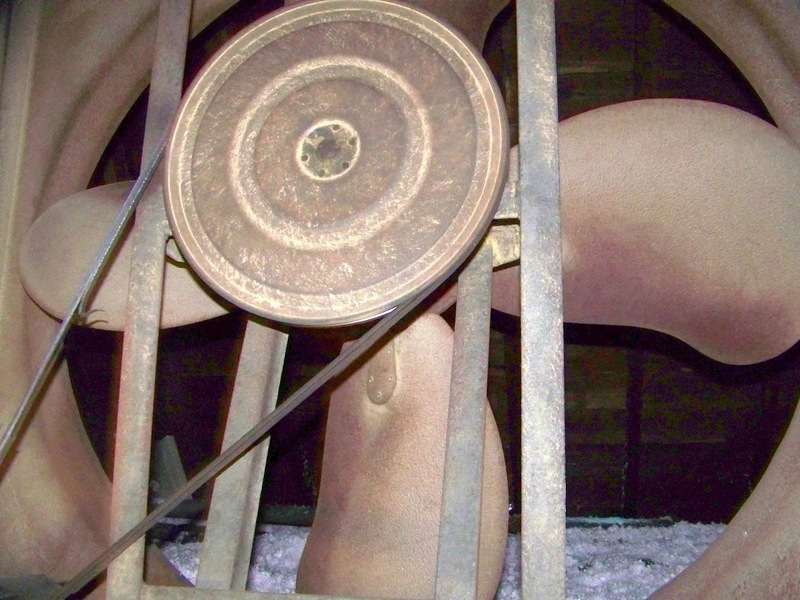 I only got to see the actual fan itself once when my Dad replaced the motor on it. Good luck on the insulation - it's got to help! Thanks for stopping by! We had a newer whole house fan in our last house and it was nothing compared to this one so I was pretty shocked when I saw the size of the fan!